Game two of this best of seven series between the Cleveland Cavaliers and the Indiana Pacers in set for Wednesday night in Cleveland. Indiana stole game 1 on the road, defeating the Cavaliers 98-80. Cleveland will be desperate to bounce back and tie this series up, while Indiana knows it can take control of this series with another win. Indiana came into this series thinking that they had a chance to knock off Cleveland, and they played with confidence in game one. The Cleveland Cavaliers’ quest to get back to the NBA Finals did not get off to the start they wanted. They find themselves in an unfamiliar position in a round one series, being down 1-0. The Cavaliers are -8.0 over the Pacers in game 2. LeBron James could not have been happy with his teammates efforts in game 1 of this series. James racked up a triple double in the opener (24 points, 10 rebounds, 12 assists), but it wasn’t even close to enough to keep the Cavs in the game. Cleveland must have other players step up if they hope to have a chance in game 2. Fellow All-Star, Kevin Love, scored just 9 points in the series opening loss. JR Smith and Larry Nance Jr. were the only other Cavaliers to score in double figures. The Cavaliers need their other perimeter players to knock down shots to open the floor up. Head coach, Tyronn Lue, will need to find the right combination of players to surround James. Cleveland must also figure out a way to defend Pacers star, Victor Oladipo in game 2. The Indiana Pacers wanted to steal a game in Cleveland, but now they need to get greedy and try to steal both. The Pacers completely dominated the Cavaliers in game 1, and seem to have all of the momentum heading into game 2. Rising star, Oladipo, had an unbelievable game scoring 32 points while also getting 7 steals to lead the Pacers. The Pacers need to ride the confidence of their star to another win. Even though LeBron James notched a triple double in game 1, the Pacers intense defense seemed to frustrate James and his teammates. The Pacers recorded 12 steals as a team and also held the Cavaliers to a 38% field goal percentage. Look for Lance Stephenson to once again set the defensive tone in game 2. The NBA Playoffs is all about making adjustments, and know team knows that more than the Cleveland Cavaliers. Both LeBron James and Tyronn Lue have been in these situations before and will come back with a response. The Eastern Conference is still under the reign of King James and he won’t give up the throne easily. The Pacers know that they can play with the Cavaliers, but they still lack playoff experience. Expect the Pacers to get off to another great start, but the Cavaliers will turn on the pressure. Look for the Cavaliers to bounce back in a big way. 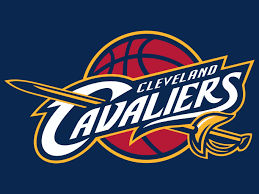 Bet the Cleveland Cavaliers -8.0 over the Pacers in game 2.